The perfect remedy for festival burnout, this year’s Margate Jazz Festival was a bijou epic lasting just over an hour in its entirety. 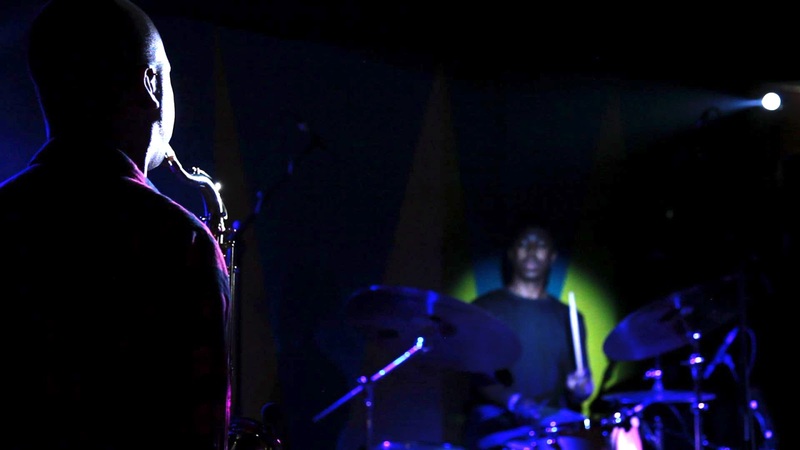 MOBO-award-winning drums n’ sax duo Binker & Moses, as the sole booking, were in a field of their own on a Saturday night in the basement club of irresistibly-named hang-out spot Olby’s Soul Cafe & Music Rooms. The duo played a mixture of tough untested material and favourites from their recent double album Journey to the Mountain of Forever. Binker Golding on tenor sax brings the restless polyphonies of Coltrane and the lilt and pep of Sonny Rollins, with Moses Boyd on drums bringing the pulse of RnB, the kit-swallowing thwack of Led Zep, and a host of influences from funk to free playing. The pair burn with energy and drive. The album sounds almost restrained by comparison with the excitement they bring to a set that rarely lets up for over an hour. 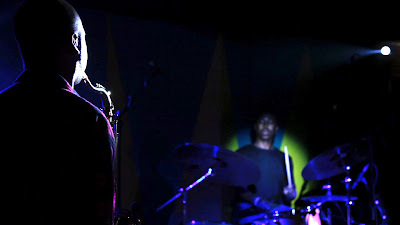 You might have seen them perform Intoxication From The Jahvmonishi Leaves on Later… with Jools Holland . It’s a tightly executed funk built around a classic-sounding locked-in theme which they stretch almost to breaking point but never completely abandon. Its driving riffs and chordal suggestions are punched out and torn up at the same time. Remember that Binker as the sole tonal voice on sax (please don’t write in if you’re a drummer reading this) has to both establish themes, spell-out chords and improvise them into oblivion at the same time. They’ve described themselves as “semi-free.” With just the two of them there’s a lot of scope for variation and feeling in the moment, perched along the straight razor of funk and freedom. An intense set, some of the audience were relieved by Fete by the River, a bouncy melodic ballad with a Sonny Rollins calypso feel. Over the hour the pair can work dynamics, but the lighter and quieter moments still have the sense of waiting out a lit fuse. It’s virtuoso stuff. As you might expect in a crossover duo, the best-received moments attest to their melodic and highly groovin’ compositional abilities more than the strenuous Coltrane-esque extrapolations. Their talent attests to the fact they can combine the two.